Friday night was billed as one of women’s sports’ greatest showcases. Not only were Venus and Serena Williams facing off in the third round of the US Open, but Sue Bird and Diana Taurasi were meeting in the WNBA Playoffs. Four women who have carried the athletic pedestal in the United States for the past two decades and still at the top of their games in their late thirties. 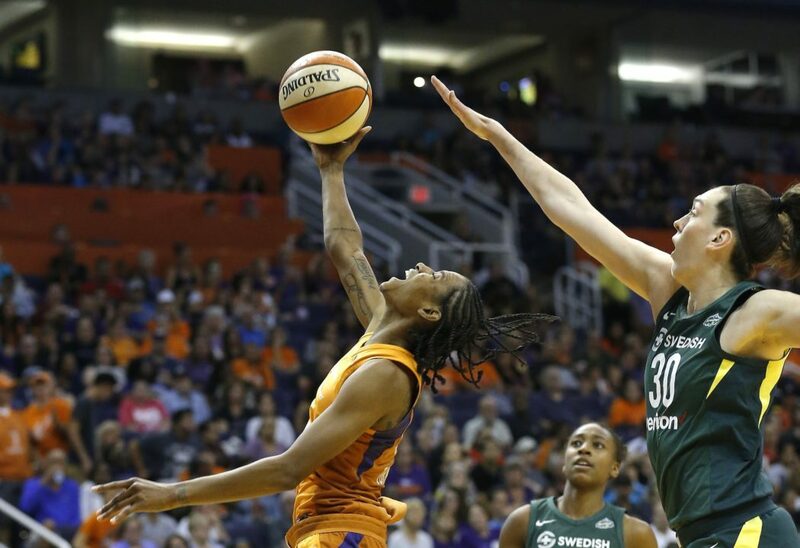 By the end of the night, Serena breezed past her older sister, 6-1, 6-2, Bird was held scoreless, Taurasi didn’t find the bottom of the hoop until the mid-fourth quarter, and Yvonne Turner is the name to know following the Phoenix Mercury’s dominating 86-66 win over the Seattle Storm on Friday. The Storm leads the best-of-five series, 2-1, with Game Four tipping off at 5 p.m. ET on Sunday. Turner scored a career-high19 points and was seemingly in the right place at all of the right times. Averaging four points per game, Turner also logged a career-best 38 minutes in the start as Stephanie Talbot recovers from a concussion. Turner started five games late last season as an unconventional 29-year-old rookie for the Mercury. A former All-Big 12 Defensive player for Nebraska during her 2006-2010 career, she didn’t find her way to the WNBA until after leading the EuroLeague in scoring with 18.8 points per game during the 2016-17 season in Hungary. The Mercury opened on a 17-6 run and never let the Storm lead by more than one point – in the second quarter. Phoenix outscored the No. 1 seed, 26-10, in the fourth quarter. 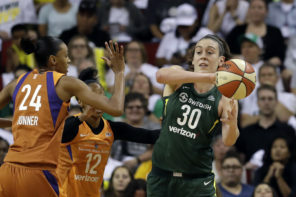 Besides Taurasi, who scored all eight of her points in the final six minutes, the other two stars of the ‘Big Three,’ DeWannaBonner (27 points and 11 rebounds) and Brittney Griner (21 and 11), contributed double-doubles on Friday. While Bird did dish a playoff career-high 11 assists, the future Hall of Famer was 0-of-8 from the floor, and All-Star backcourt teammate Jewell Loyd was 1-of-10. 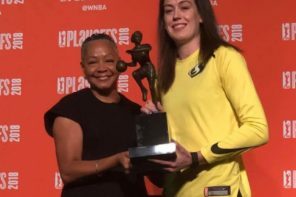 League MVP Breanna Stewart scored 15 with 11 rebounds for Seattle, while Most Improved Player award recipient Natasha Howard recorded 19 and 10.